Comments: The 1-2 inch yellow fruit shaped like a small orange has little pulp, is bitter and not edible. 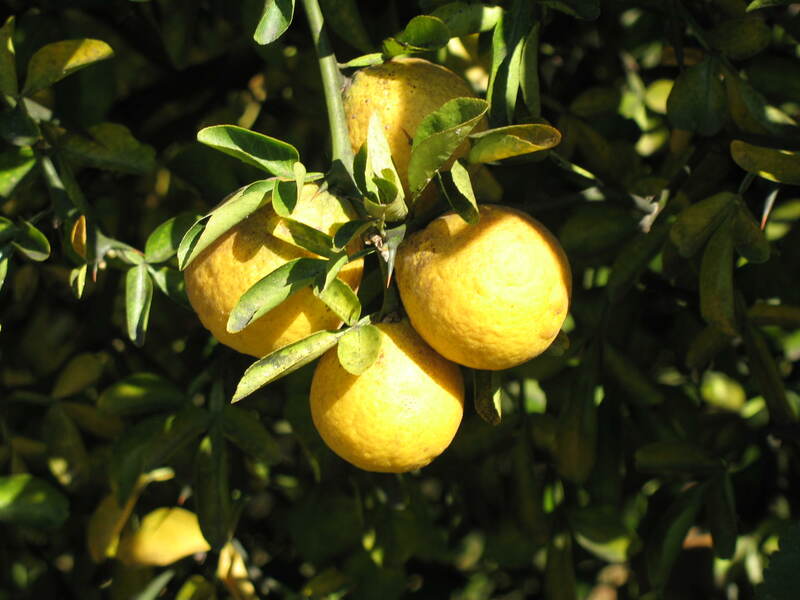 This citrus has many white, very fragrant blossoms in spring. It makes an inperetrable hedge thicket and barrier plant with its many thorns. Has yellow autumn color and a picturesque winter form.